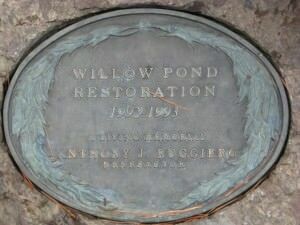 In 1992, a major landscaping and replanting initiative developed by the Halvorson Company for the Willow Pond area was implemented to enhance the beauty of the Pond while improving habitat for birds and other wildlife. A new irrigation system and improved path were installed and many trees, shrubs, and ground-covers were planted in the fall. 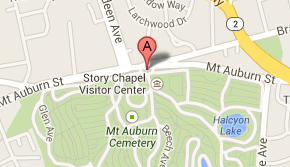 Additional plantings were installed in the spring of 1993. 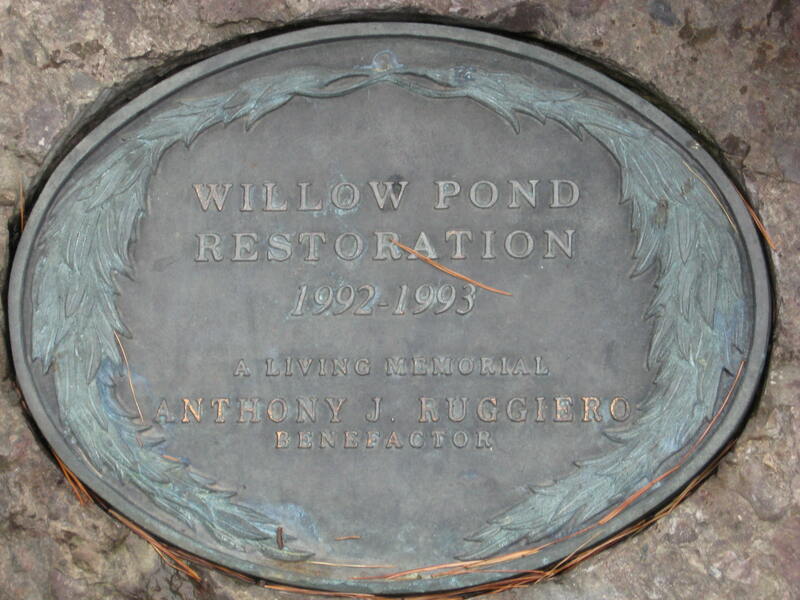 Below is an image of a plaque, which along with special plantings recognize the Ruggerio Memorial Trust for their support of the 1992-1993 restoration of Willow Pond.